RJ Parker Publishing BLOG: True Crime Writer wanted for 2nd annual anthology. Your chance to be published. True Crime Writer wanted for 2nd annual anthology. Your chance to be published. Do you consider yourself good at research and enjoy writing? Would you like to have your name and article that you wrote published? YOUR NAME could be on the cover below. Here's the deal. The book, Serial Killers True Crime Anthology 2015, Vol. II, will be published mid-December in eBook, paperback and audiobook editions. Between the five acclaimed true crime writers, we have nearly 400 books published. We want to offer ONE person a chance to get their 'foot in the door' as an author. I selected a protege earlier this year, JJ Slate, and gave her a similar opportunity. Her debut book is currently in the Top 100 paid list in 8 categories on Amazon. This could be your break. We are very selective. Your piece should have a zing to it. So be creative. Entice your reader to turn the pages. Capture the reader in the opening sentence. Case file written, edited and submitted by Sept 30. If it's not enticing to me, or not edited, I won't be passing it along for the other authors to read. We are looking for professional work. If you want to be a writer you need to take pride in your work. Here's your chance to shine. There is no remuneration for this. It's simply an offer to help you get started and the privilege to be a part of an acclaimed team of authors. The winner will be required to sign a contract waiving any copyrights and pay expectations. 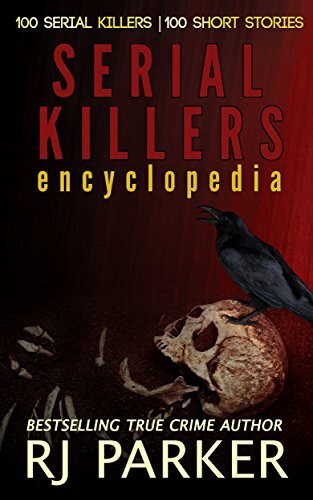 The Serial Killers True Crime Anthology 2014, Vol. I has become a bestseller in just five months, selling several thousand copies in four editions and in over 100 countries.